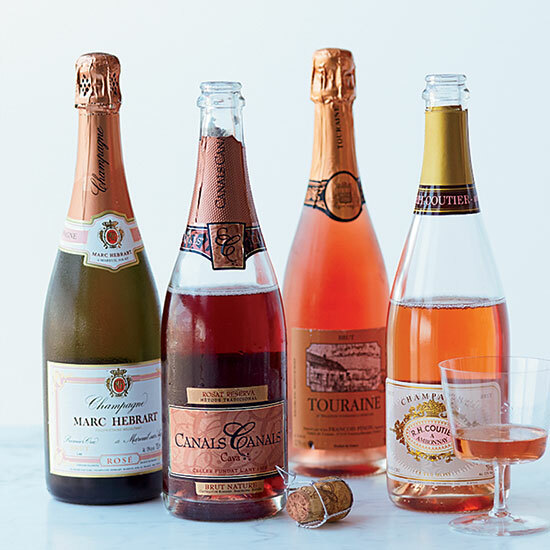 Here, four sparkling rosé picks from Estela's Thomas Carter that are amazing with food or without. Estela's Thomas Carter picks four of his favorites (prices are retail). Marc Hébrart Brut Rosé Champagne ($56) The Champagne selections at Estela focus on single-estate grower bottlings, like this taut, aromatic one from the Vallée de la Marne region. Canals Canals Rosat Reserva ($22) The Canals Ollé family has been growing grapes in Spain's Penedès region since 1903. Instead of traditional white cava grapes, this fruity rosé is made from the Garnacha and Monastrell varieties. François Pinon Touraine Brut Rosé ($23) François Pinon is known for his precise, fragrant Vouvrays, but he also makes this strawberry-scented, organically grown and appealingly inexpensive sparkling wine. René-Henri Coutier Champagne Brut Rosé Grand Cru ($48) Ambonnay, one of the 17 grand cru villages in Champagne, has been home to the Coutier family for nearly 400 years. The Coutiers' wines always balance richness against racy intensity, and this rosé is no exception.